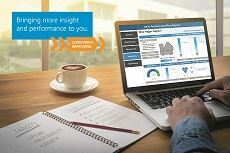 By combining modern condition monitoring technologies with its industry expertise, the GEA PerformancePlus provides monitoring services, comprehensive analysis reports and reliable optimization recommendations. It creates transparency about the current health status of the customer’s equipment, increases its availability and ensures optimum productivity. GEA PerformancePlus enables a speedy evaluation of the opportunities and risks of changing production requirements, orders can be assessed and economically. The GEA PerformancePlus will initially be available for GEA separators; in the mid-term it will be extended to other GEA product groups.